Alphabet has been named as the preferred operational leasing partner for StreetScooter GmbH in Germany and the Netherlands, expanding its electric vehicle portfolio. 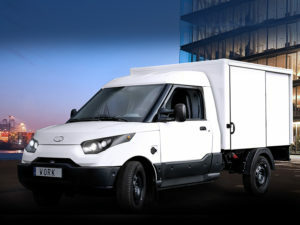 The leasing giant already has around 25,000 fully electric, plug-in hybrids and electric LCV in its global portfolio, driven by its AlphaElectric EV consultancy service. The new collaboration is set to build on this by offering private and public sector fleets access to StreetScooter’s compact, fully electric LCVs, originally designed and manufactured by StreetScooter parent firm Deutsche Post DHL Group for post and parcel delivery in urban centres, and offered with various charging options and configurations to suit a wide range of applications. Under Alphabet’s tailor-made Business Mobility solution, fleets can opt for a full operational lease of StreetScooter vehicles, including SMR and damage repair and a variety of other services.